As a home or car owner, you may find yourself in the unfortunate circumstance of needing a locksmith in the Commerce, GA area. Whether you’ve accidentally locked your keys in your car, become locked out of your home, or need access to lock repair or replacement professionals, you can rely on the highly trained and insured locksmiths of Lock Dawg to address your needs with fast and affordable services. Our fully mobile locksmith company can address your lock issues with our same day service. For more about our motorcycle lock services read here. We Program Car Keys On The Spot. Foreign, Domestic, & European. Car lockouts and broken lock issues can bring your day to a halt, leaving you without your transportation and worried about potentially expensive repairs. You may even contemplate attempting your own repairs, which can lead to bigger issues. 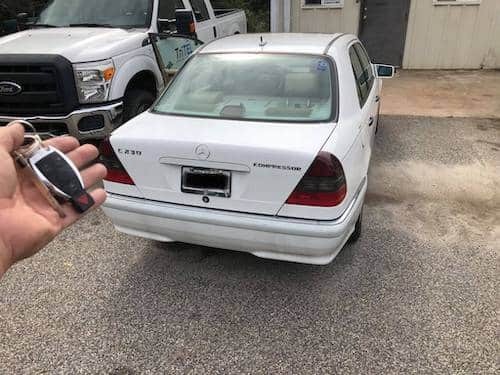 Instead, trust your automotive locksmith in Commerce, GA to arrive promptly, employ proper techniques and technology and have all the right tools to get you back into your car. While some car locks on older models or with manual locks may still be addressed with slim jims, modern vehicles often employ digital locking systems that must be addressed with decoders or car key maker software that can clone the lock’s key to regain access to your vehicle. Residential locks have also advanced technologically, like automotive locks. Depending on your specific doors and the locksmith services you require, our Lock Dawg locksmiths may need to recode digital locks, remove and replace your current locking mechanisms, or rekey the locks in your present door handles. One of the most common services is creating an impression of your analog lock and using it to create replacement keys for those that have become lost or damaged. Additionally, we commonly work on residential jobs to rekey all or some locks throughout the home to make only one key necessary to access all doors. 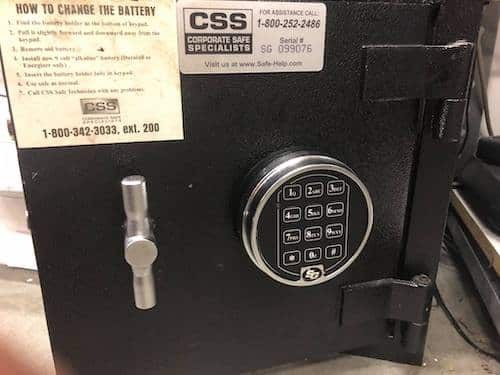 Broken safe lock? Locked out of your safe? We can help. Commercial locksmithing addresses many different business needs including bulk rekeying services, working on all locks within an office building to create unique keys for each space, installing safety devices like deadbolts and safes, and adding locking mechanisms to nontypical door types like on loading docks, garages or within industrial spaces. With employee turnover, corporate moves, and normal wear and tear, commercial locksmiths routinely address key and lock changes to ensure safety, security and privacy. Your vehicles, homes, and businesses are best served when you choose a locksmith you can trust to address your needs with the highest quality of work performed. First, look into the training and certification a technician has undergone to be sure they are prepared to handle the services you require. Next, look for locksmith services that are fully licensed and insured to perform the necessary work. And finally, if you are asking yourself “how do I find a locksmith near me that I can trust,” look no further than Lock Dawg, a mobile locksmith nearby your Commerce, GA location that offers well-trained employees who are affordable and fast experts ready to address your automotive, residential or commercial needs.